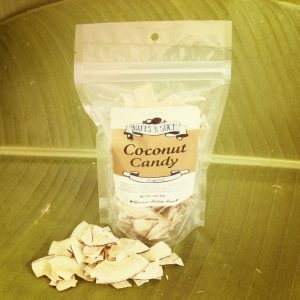 Our signature coconut candy made island style. 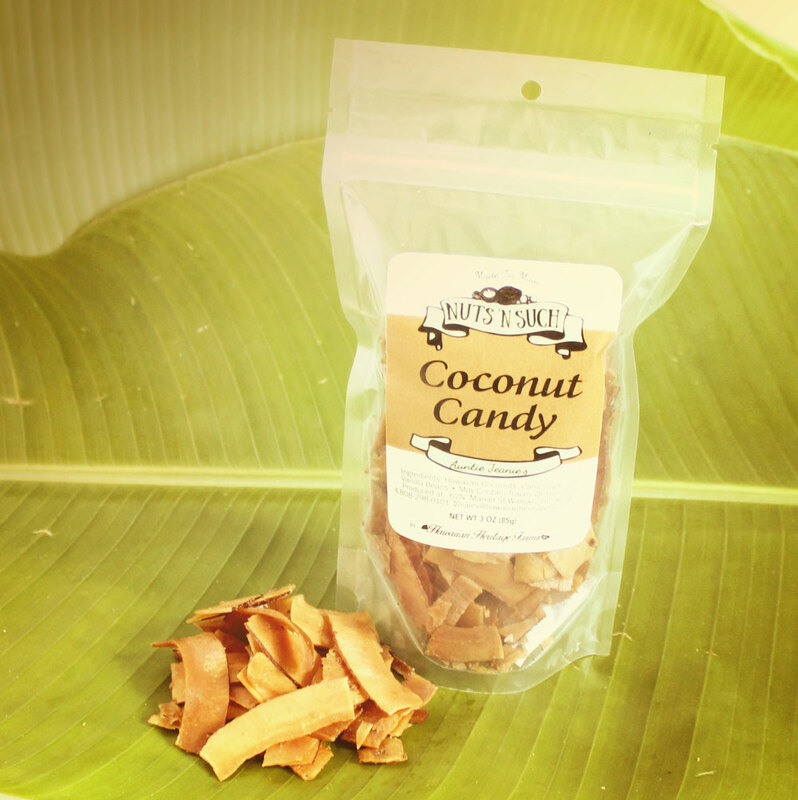 Thin sliced coconut with an extra helping of cane sugar and real vanilla beans. Sweet and dark roasted, a local favorite. A deliciously decadent coconut candy great by itself or added to desserts and great to bake with, too! Naturally vegan and gluten free. Available in 1.25 or-3 ounce packages. 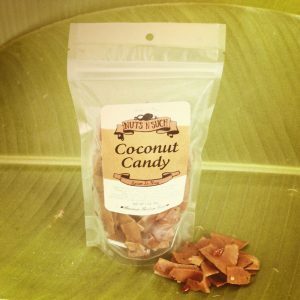 Ingredients: Hawaiian Coconuts, Cane Sugar and Vanilla Beans.